Season's Greetings to all of you! When I started A Place in Mound, I had no expectations, but I am so glad people have responded positively to the ideas shared here. We have lots to do to make some of the simple things we discuss here a reality. Here are two things I want do the first 6 months of 2013. One is to have an informal meeting so we can meet, and actually talk about Places in Mound, and figure out what we, as citizens, can do. The second is to set a date to have a bike day in Mound, inspired by "Kidical Mass". Let's work to make Mound a place to drive to, not through! Also, I like many others are currently unemployed. It would be appreciated if you think of people like myself during these times. Let us know if there are ways we can help you or your colleagues at your business. Mound city hall moving - City council officially voted to move city offices to the Public Safety building after some more parking can be added. I dare the city of Mound to look at this carefully, and consider back in slant on street parking. It appears the meetings will continue to be in the old building, which they are considering naming the "Centennial Building". 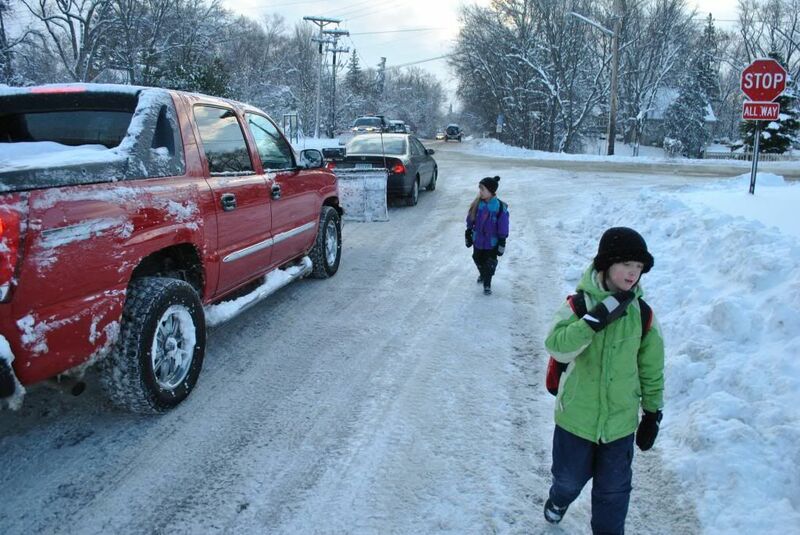 Walking to school on December 10 (the Monday after the snowy Sunday) was rough. I have lots to say about it later, but everyone needs to understand the speed limit on streets by the schools when children are present is 20 MPH. My kids and I had no sidewalk options that day, so we walked along Bartlett and Wilshire, and cars went by WAY to fast, and I got into a heated argument with one gentleman. The committee that put together the recent meeting on Heroin at the Gillespie Center will be hosting another meeting in January. It will be a more general meeting on drug abuse, and will give people a chance to meet in smaller groups with officials. It will be at the Gillespie Center on Thursday, January 31st at 7PM. At the Planning Commission meeting last month, there was a report from the city staff that the 2nd Mound Magic meeting was just as well attended as the 1st meeting. It was also recorded to be broadcast from the Cable Access. They were pleased at the reactions of the meetings, and are planning to do more in the future. It was also shared that they have been making more of an effort to meet with city business owners. I'm sure this sort of thing has always gone on, but perhaps they are making more of an effort to get out and have conversations. Perhaps they'll take the walk I recently proposed. Jubilee has set up a website at http://www.moundjubilee.com. You can now sign up for emails, see the specials, and get contact information. One frustration I have, in general, about Mound businesses is the lack of websites many of our businesses have. I know that Celebrate Greater Mound has tried to help to give small local businesses the opportunity for a free website, but those efforts, so far, haven't seem to help much. But it's a good idea... and those efforts need to continue. Many of us use the internet to get information, and if a business doesn't even have basic information available on the web, we will look for other options. Speaking of CGM, it has just announced it's changing it's name to Westonka Community and Commerce. This is just a name change to reflect the broader business community, and try to include important businesses that aren't necessarily in Mound. It's mission and programming isn't changing. I'm a little reticent to this change, as Mound is the hub of this organization, and until the center of our business hub improves, Mound will continue to be stagnant, but I do believe strongly in this organization and strongly encourage everyone to be a part of it. The Moonlight Trail Walk is coming up quick, on January 26. Do me a favor, and go like the Facebook page, will you?! And if you want to help, contact Liz. Especially you could help by making luminaries. This is the third response to the city after my presentation last week. Members and staff had problems with me criticizing (or berating) the city. I try to use a metaphor here with my Jazz Band experience. I hope you will also see my first two responses as well. When I'm making criticisms of Mound's streets, the way a development was discussed, or about a downtown issue, I usually don't blame a specific person. Issues that are raised here are issues that nearly every city in our county is facing. A lot of what I'm writing about is about the system we've built, use and lived in. People that have been educated, worked and live in the system are doing what they believe to be best, of that I have no doubts. They are working hard, and trying to get by just like the rest of us. If I were in their shoes, and an outsider comes along and starts making criticisms, I imagine I might take it personally. I'm sorry if people at the city do take it personally, I really do respect them. I'm sure the ideas discussed here often seem outlandish, but I know this system we currently have isn't right. I've spent my whole adult life working with children, and I know how to be encouraging and educational, without putting down or insulting their behaviors or school work. Positive reinforcement is the best way to get a desired behavior. However, there are times when you just need to be more direct, and point out mistakes directly. When I, as an educator, point out a problem a student may be making, I focus on the problem, not the student. So when my daughter plays "Away in the Manger" and consistently misses the F#(sharp), I will point the problem, and urge her to remember that note. I don't insult her, or mock her that she keeps making the mistake, and to knock it off. I need to remember she's learning, and if she keeps working on it in earnest, I will respect that. This can be true in the adult world as well. I play trombone, and rehearse weekly with an adult jazz band made up of many fine musicians, most better than me. When a soloist it jamming along with the rhythm section, and he's hard to hear because the drummer is playing too loudly, it usually is delicately fixed. Often with, "Hey, lets have Johnny play that solo again, and everyone should be sure to listen to him while he plays because I could barely hear him." No one points the finger at anyone, the issue is brought up in a broad manner, and it usually is fixed if everyone is paying attention. But that doesn't always work, and drummers being... well... drummers, you need to be more direct with them, and point out the problem. "Hey Sophia, could you bring your volume down a notch or two during that section?" And... assuming we are all adults (and drummers being... well drummers) this will fix the problem too just fine. Now, I don't know how to play the drums, and I couldn't give specifics to a drummer about how to play soft, but I do know when one of them is playing too loud. If I made a comment, the drummer would normally take the cue (perhaps offer a grumbled opinion about my performance) and play soft. I imagine it would be a lot of hitting the heads lighter, or in different spot. Perhaps they might hit less drums, or a different head altogether. I'll trust them to make the appropriate adjustments. This reminds me of a quote from Sandra Steingraber's "Raising Elijah" that I read this last year. "As soon as you know, you can't not know"
When families that live in Mound try to walk or bike to various places in Mound, we know that they are not entirely safe. When we drive through town on Commerce, and see very few people (if any) and buildings sitting vacant for years, we know there's something wrong. When I go by Caribou, and can't see all the businesses listed on a sign because it's either too low, or the fence in front of it is too high, and nothing is done to correct it, that seems wrong to me. At the Mound Magic, Kandis Hanson, Mound's city manager, was telling us about the new street lights installed in downtown Mound. She pointed out that on County Rd 15 in Navarre and Spring Park, there are several street lights that have fallen down, and haven't been replaced. Ever since she said those remarks, I've started to notice the six or seven traffic cones that sit where a light pole used to sit along County Road 15. And the ones that remain standing are clearly deteriorating. Isn't it wrong that those light poles haven't been replaced or fixed? I had a brief discussion recently with someone who told me how he appreciated the discussions happening here at A Place in Mound. He said it was making him see things in a different way that he had noticed before. I think he's starting to sense something isn't right. These are things we can't unlearn. Again, it's not just Mound... it's practically every city out there. It's the system we've created. I don't know exactly how it's supposed to happen, but the City of Mound is playing too loud, and needs to make an adjustment. It's not personal, and we got time to rehearse yet, but my family is out there and something doesn't feel right. Let the soloist play and lets work together and get out of this system and create a new one to make Mound a Place, while letting Johnny shine. Please be sure to read my first response, and you can also watch the whole presentation and discussion. Here is my second response to the Mound City Council. During the discussion the Mayor said I was wrong that MSA streets were free. Another council member chastised me for being wrong. I have spent a great deal of time the last couple years trying to educate myself about all the policies and issues involved with basic local government services like streets and financing. My background is in music and education, not municipal administration. I know how to educate myself but trying to read an engineering manual like the Minnesota Municipal Street Aid manual is daunting, and really unreadable to the average reader. I spent many late nights and more hours than I dare tell my wife trying to read it, the newsletter MNDOT publishes "State Aid Scene", I went to watch a State Aid Variance meeting in Arden Hills, I looked over the State Aid Local Transportation part of the website, I've read minutes and presentation slides from the Advisory Council for Complete Street documentation they are putting together at MNDOT, I have asked questions of County, State, and other engineers because I felt I was being a nuisance to Mound's city engineers. The mayor's explanation on how MSA streets are funded is that the local residents and city pay for the normal street expenses, similar to those that have been paid in the last few years as our regular city streets have cost us. The state will pay for the extra foundation and width these streets are required to have, to qualify for MSA money. MSA streets are not free for cities. When I wrote previously about MSA streets and that they were free for the city, I wasn't making it up. I was trying to put pieces together, and share the information I had learned that I believed to be accurate. Getting straight answers on some of these questions is difficult. There are no classes or handy pamphlets on this topic. It's one of those government bureaucratic systems that only those in the system can really understand, and if you don't understand them, well then we should just trust them. I know for a fact that a neighbor city of Mound has a newly built MSA street paid for by the state, and the local property owners. Actual city costs, I was told, was a qualified 'very small portion'. 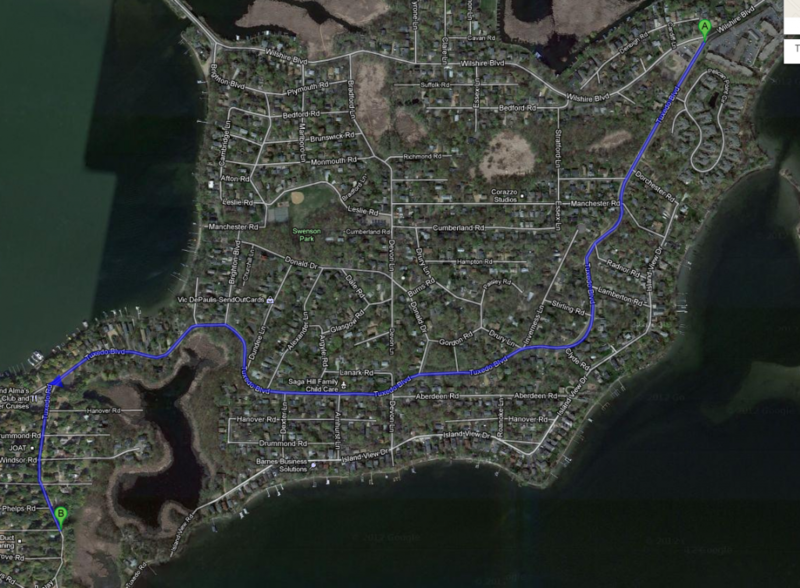 This was, in part, how I learned that MSA streets are free for cities. Perhaps there's a difference in how the state aid system works between construction of a new street, and a rebuilding of an old street that wasn't apparent to me. 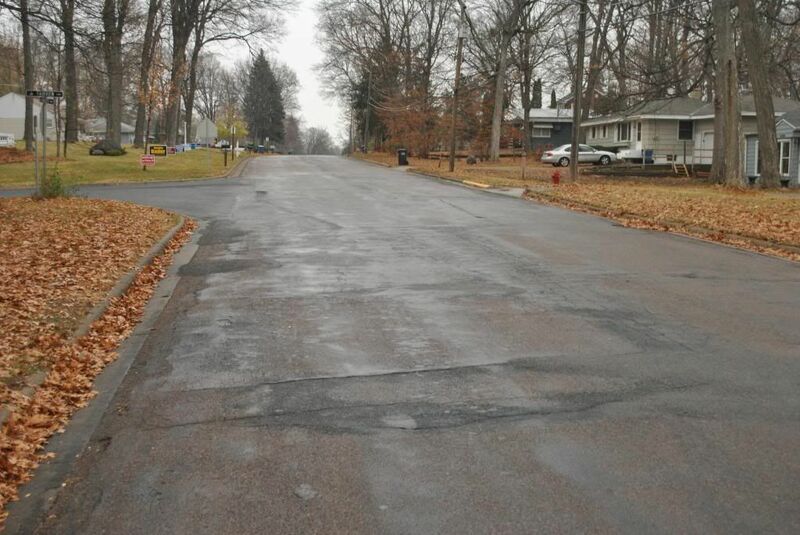 I apologize to you, my readers, as well as the City of Mound, for providing incorrect information about MSA streets. So what is a guy to do if he's learning about the complicated way to build and finance city streets? What does it say about these 'systems' we've built that are too complicated for an eager, semi-intelligent person to try to figure out? Is it rational to trust a system that is devoted to saving some people a chance to save 30 seconds off their commute, while hurting the neighborhood the street occupies? Is it rational for Mound to rebuild the MSA streets, before taking an honest assessment on how they impact our neighborhoods and the people they serve? I may not understand the finances of MSA streets, but I understand the impacts they have on neighborhoods. Two slides I shared with the city council, and on my post earlier this week was from a study done in San Francisco detailing the impact of traffic on the neighborhood it goes through. Here is the story and video on that study which gives us more details on the study that was conducted. *If you haven't had the chance yet, I hope that you will consider watching my presentation last week. I spoke for about 15 minutes and the discussion afterward was about 45 minutes. I greatly appreciate the invitation and time there, and look forward to having more conversations with the city soon. Topics were wide and varied, so I will be responding to the issues we discussed over the next week or two. Thanks to those who have watched, and have been encouraging. I know some people were disappointed by some of the city council comments made, but these are tough issues, and we are at a disadvantage when arguing from an outsiders perspective. We need to be strong, patient, persistent, and even a little tenacious as we make our case, while still being respectful. During my presentation I repeatedly said one of the issues Mound faces is that it has streets that are built for cars to go fast. While the council talked about this, they repeatedly stated that "roads are for cars". I didn't want to argue terminology, so I didn't attempt to correct it then, but I wanted to dispute this notion in my first response today. As we've talked about before, there it's a difference between streets and roads. Roads are for connecting places. There is little value on a road, as it usually is passed by. Streets are a place where we live and conduct business. A street captures and adds value to places that surrounds it. 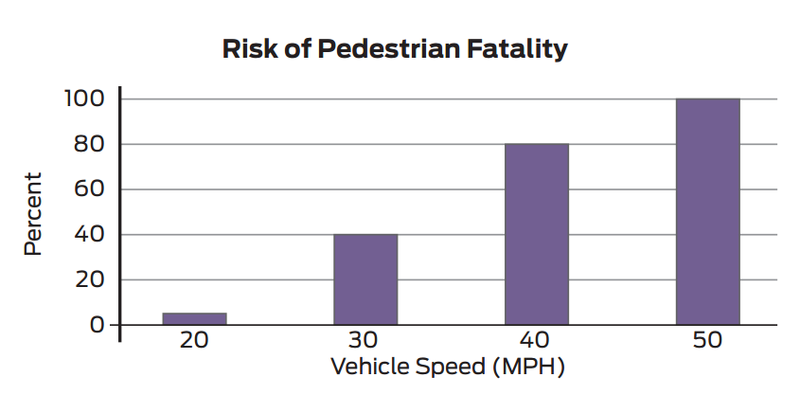 Unfortunately our cities have been built with streets that try to act like roads and encouraging cars to go fast. This not only hurts neighborhoods, they can kill people. Mound needs to think carefully when they rebuild their MSA streets the next few years. Mound wants streets that are people friendly and where bicyclists and pedestrians can exist along cars driven at a people safe speed. We need to build streets for the next 30 years, not the last 30. Mound needs to build streets for everyone, not just cars. After my presentation, one issue the city council brought up was the suggestion that slowing traffic would create congestion. They continued that if there was congestion, then people would choose not to live in and do business in Mound. Slowing down cars in our neighborhoods is not creating congestion. It would, in fact, would add value to neighborhoods. We build these big, wide, MSA streets to move cars quickly and efficiently. In Mound, they help people move from the County Rd to their neighborhood street. For people in my neighborhood, we use Bartlett Blvd for this task. See the chart below to see the travel times. 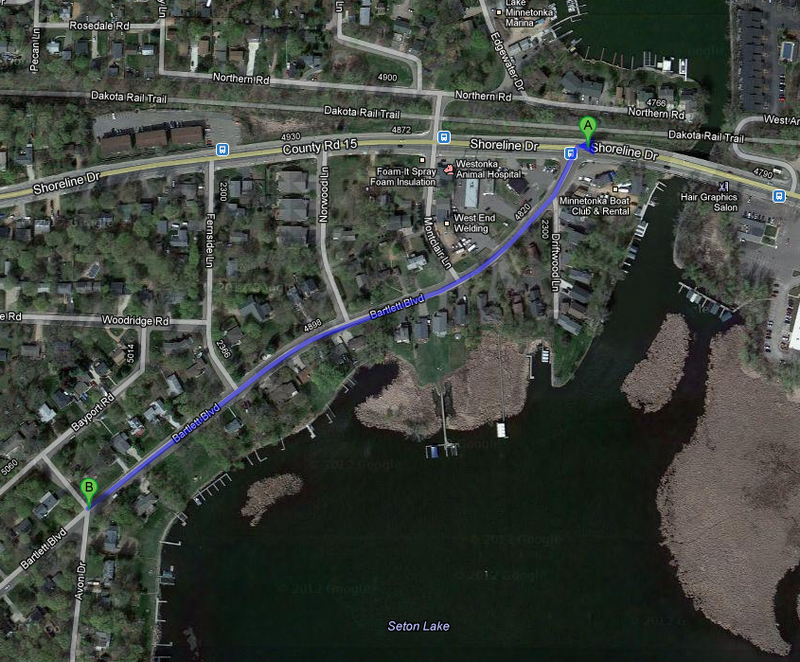 Travel time on Bartlett Blvd from Shoreline to Avon Dr.
Bartlett Blvd from Shoreline Dr to Avon Dr, a MSA street. People in my neighborhood can drive faster on Bartlett, and cut 6-8 seconds off their travel time thanks to MSA streets. Are those seconds really worth having if it degrades the neighborhood I drive through? Let us look at another neighborhood. These times are for someone driving on another MSA street, Tuxedo from Skelly's, past Al and Alma's to Seabury Rd. I'm uncertain what the posted speed limit is on Tuxedo... seems to me it might be 35, so I included 40MPH. Tuxedo Blvd from Seabury Rd to Wilshire Blvd, a MSA street. Building a street where cars can drive 5 MPH less and share the road with people and bicycles could cost the residents of Seabury Rd. 22-41 seconds. Is that congestion? Would someone choose to live someplace else because because their drive to their home is 30 seconds less? This all comes back to our neighborhoods, and the places people live. What are we, as a city, telling the neighborhoods of Bartlett Blvd and Tuxedo Blvd when we encourage fast cars by their homes? Look closely at the neighborhoods you drive though the next time you go through. Do you see people? Are the houses there built close to the street, or far away? Do children play in the yard? How would you feel if your child was trying to play there, learn to ride their bike, or go to play at their friends house across the street. Are you comfortable with that? 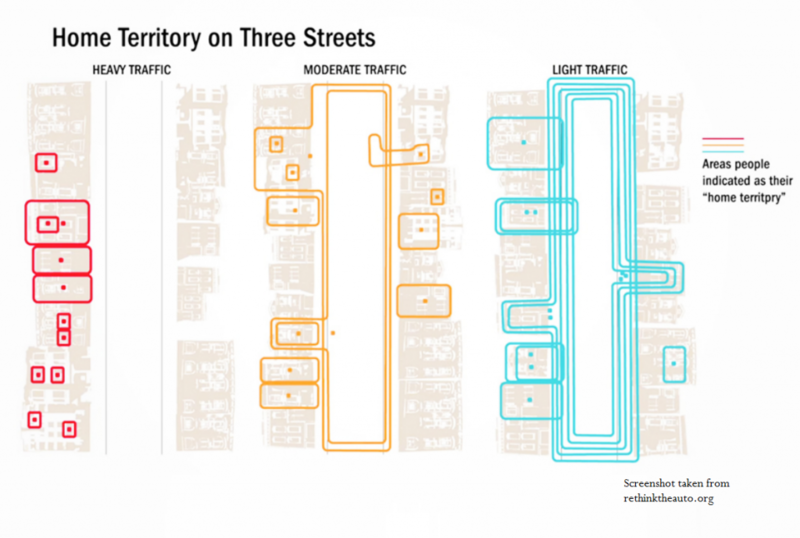 These results from a study done on three similar streets with different levels of traffic. What value does a city place on a neighborhood when it allows cars to go fast through it? How does a neighborhood value it? Do we, as a city, feel it's acceptable to hurt the Bartlett,Tuxedo and other neighborhoods, so others who choose to live further off a County Rd, can shave seconds off their commute? I will contend that there are many of reasons why people choose to live in Mound, and hardly any of them would be because of their fast, wide streets. These streets were built this way because traffic engineers are so focused on moving cars that people are just afterthoughts in their equations. Going 5MPH slower on a neighborhood street is not congestion, and in fact, should be encouraged so everyone who lives in Mound can have a great neighborhood.